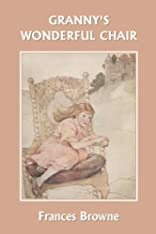 Grannys Wonderful Chair was written by Frances Browne. Grannys Wonderful Chair was published by Grosset & Dunlap. About Frances Browne (Author) : Frances Browne is a published author of children's books. Some of the published credits of Frances Browne include Granny's Wonderful Chair (Yesterday's Classics).